You are here:Home Articles Should I take singing lessons? Should I take singing lessons? Maybe you’ve thought about taking singing lessons in the past, but then put it off because you thought “Those aren’t for me”? Maybe you’re a working singer who needs help with your voice because it’s tiring out during long gigs, but are not quite sure if you should take singing lessons? Sometimes we get asked “do you work with beginners?“, or “I just like to sing for a hobby, should I take singing lessons”? And the answer to these questions, and many like them, is always YES! 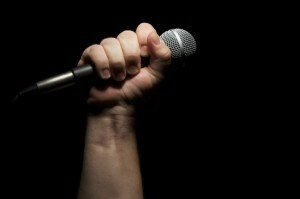 Have you ever thought about developing your singing voice for any reason? Perhaps to sing better in the shower, or sound more professional at the karaoke night? Or to sing more easily as a working professional singer, or even to serenade your other half at your wedding? If you can answer “Yes!” to any of these questions – you should take lessons from a good singing teacher. Singing lessons are not just about your voice, they can help to develop your musical ear and performance techniques as well. potentially even set you homework alongside practising! During points 2 and 3, they will also be developing your musical ear, making sure you are pitching correctly during the scales and song and making sure that your voice is working towards achieving vocal balance. They’ll be helping you with performance technique as well, so you are actually performing the song, and not just singing along to a backing track. If you are struggling with a specific part of a song, asking someone who knows what they are talking about can help you get past that sticky patch. As singers, we are often completely unaware of what we are actually doing and a outside ear can be a huge help to flag the problem for you. When you go to the gym, if you don’t know how to use a piece of equipment, you don’t blindly go ahead and use it, do you? No, you ask one of the gym staff for help (at least if you have any common sense that is). It’s the same with singing. If you don’t know how to hit a note, or you experience tension or strain, or can’t work out that tricky riff – ask a good singing teacher. They’ll help you with that issue, and maybe fix one or two things that you didn’t know about as well! I’m 14/30/60/80 years old and have never had lessons before. Does it matter? Nope! Singing lessons are great for people of any age – it gives you the freedom to develop an instrument you carry around with you, and can help to develop confidence too. Developing confidence in singing at any age is important – if you can do something you like well and without fear of judgement, then why wouldn’t you want that? Singing lessons for children are important if they harbour a desire to sing, aside from potentially doing themselves some damage without the correct training, it can be a massive confidence booster for them. Every child deserves the right to be able to learn a musical instrument, and by taking singing lessons, you don’t even have to buy them the instrument! Just make sure you pick a good teacher who is comfortable teaching children. Here at Your Voice Studio, we teach all kinds of people, from complete beginners and singers who want to sing for their own benefit, all the way to musicians touring around the world. Our advice is based in the IVA Technique, and orientated to your specific vocal and musical goals. So if you’re not sure about taking a lesson, then email us and ask questions. We’d love to help you reach your goals! Get in touch on the website, or connect with us via Facebook, Google+ and Twitter. Laura has been studying singing as a student with Tom for three years, and started studying as a voice teacher in June 2012. She is still one of Tom’s regular students, and has recently qualified as Instructor I with the Institute for Vocal Advancement (IVA).